Bergmann Galder Air Bearing Turntable without Tonearm. 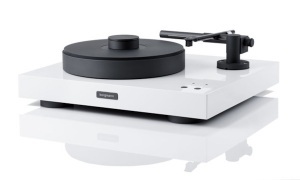 Galder is Bergmann`s answer to the most universal turntable design. 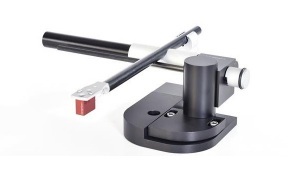 Galder accept up to 4 tonearms. Radial- and linear tracking arms. The performance in retrieving all the information from the Vinyl LP is almost magical in its totality. The CNC machined 26 lbs platter is frictionless because it floats on a bed of Air. 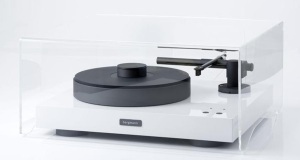 The 84 lb Bergmann Galder Air Bearing Turntable sits on Adjustable Aluminum/Ceramic Ball Construction Feet. Recommended Tonearm is the Odin, not included. 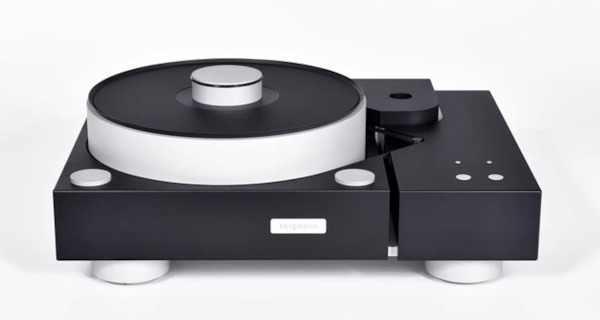 With the Bergmann Odin Tonearm, the Bergmann Galder Turntable with a Die Cast Aluminum Plinth is immune to Resonances. Comes with one tonearm board. Includes Air Supply for Air Bearing Floatation.